The Port of Dunkirk is facing heavy losses following the devastation wrought by hurricanes Irma and Maria to the banana industries of Martinique and Guadeloupe. The port is the entry point for Caribbean bananas arriving into Europe, handling around 270,000 tonnes a year (70,000 tonnes from Guadeloupe and 200,000 from Martinique). A spokesperson at managing authority the Grand Port Maritime of Dunkirk told France’s La Voix du Nord that it was still too early to get a complete assessment of the impact of the hurricanes. However, with an estimated 60 per cent of Martinique’s banana plantations and virtually the entire Guadeloupe industry affected, the port is facing a probable loss of almost 200,000 tonnes of traffic. 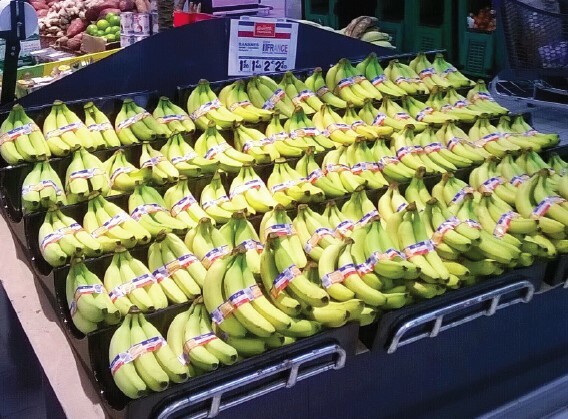 Last week Philippe Ruelle, CEO of the Union of Banana Groups of Martinique and Guadeloupe (UGPBAN), said it would take at least two years for the industry to get back on track. UGPBAN recently invested in a new packing line in Dunkirk as part of an initiative to label bananas with the Tricolor in order to highlight their French origin. Ruelle said the production line would continue to run in spite of the lower volume.